Veterans and their family members are invited to a monthly group where they can discuss their concerns and learn about all the resources and benefits available to Veterans. Our inaugural event is scheduled to take place at 8:30 am on September 17. There will be a special presentation by VITAS Healthcare and a continental breakfast will be served. 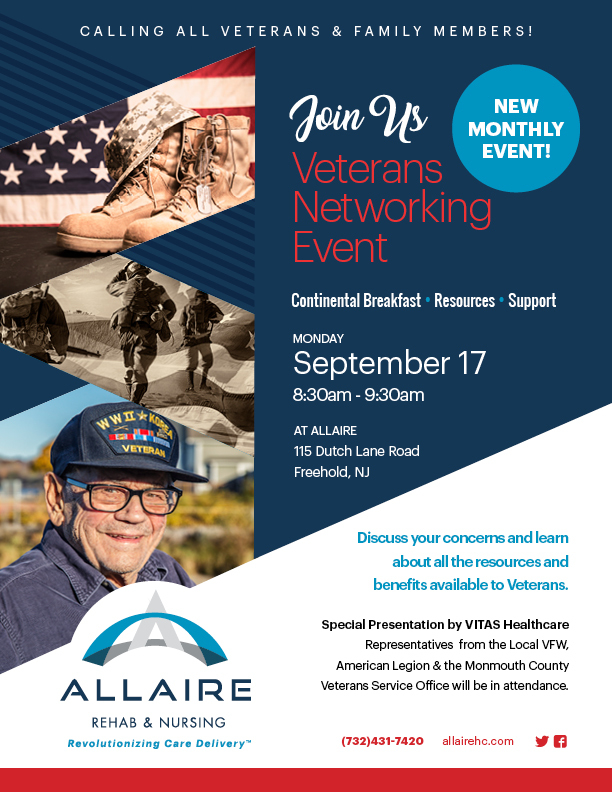 Representatives from the Local VFW, American Legion and the Monmouth County Veterans Service Office will be in attendance as well.